Working from a Robin Hood style forest basecamp, camping in Tentsile tree-tents suspended from trunks below a high canopy, Woodsmoke has access to some of the finest tree climbing locations in the Lake District National Park, from majestic mature oaks to twisting groves of rhododendron. Ben Medder will be mentoring you in the art of arboreal locomotion from tree-running, climbing and vaulting to brachiation. The days will be equally divided to develop mind, body and spirit – with lessons on ancestral movement strategies with the focus on climbing, physical strength, skill and dexterity, craft and cooking, knowledge and learning, and time to yourself to reflect, think and be creative, where you will be encouraged to sketch, journal, meditate or simple be in the forest. 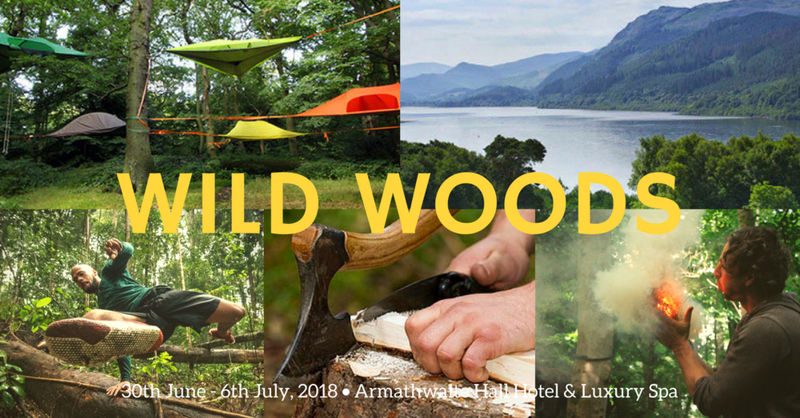 In the afternoon sessions you will get the chance to learn from world renowned Bushcraft and Wilderness Skills expert Ben McNutt. The course sold out this year, so contact us for more info or guarantee your place by placing a deposit now.